Marketing4Restaurants provides reports to our customers detailing the most effective way to market to restaurant customers. 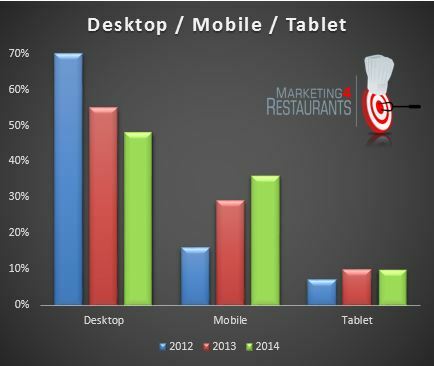 Our January 2014 web visitor report shows that the trend towards mobile and tablet devices with restaurant customers is continuing. • Search traffic has rebounded to be the most common method for people to find a restaurant website. Our team of data analysts have examined the data from all of our customers’ websites to determine the current trends in restaurant website traffic. All data was aggregated, anominized and then analyzed to determine trends and to produce actionable intelligence for Restaurant Owners. The latest data set was analysed in January 2014 and compared with data from March 2013 and May 2012. In a little over 9 months, mobile traffic has continued to increase. Across all websites, desktop traffic fell to 48% and mobile users rose to 36%, up 7% in 9 months. Restaurants without mobile optimized websites are struggling to engage with customers and potential customers. Mobile phones have issues with not supporting Flash, not supporting PDFs natively and also text and images which are not easily readable. Many sites are also very difficult or impossible to navigate on a mobile phone. 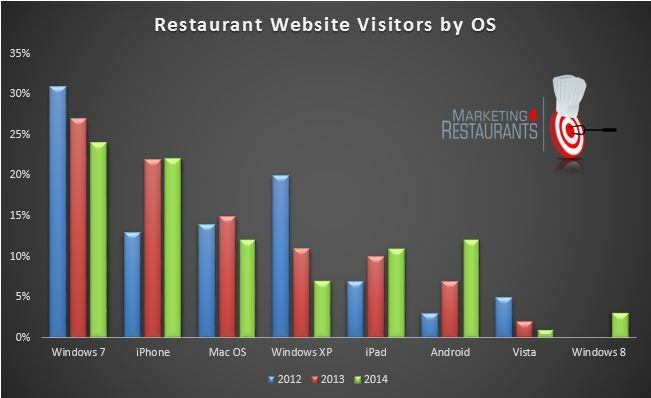 For Restaurant Owners: This information highlights the importance of having a mobile optimized website. Restaurant owners should check what their website looks like on iPhones and Android. Any Flash components should be removed and it is critical that important information like contact details, online booking and the menu are quickly and easily available on a mobile phone. We have spoken about the dangers of using Flash on restaurant websites before. Owners should check to see what their website looks like on Safari, the Apple browser because half of all visitors are using it, either on a Mac, on an iPhone or an iPad. Windows 7 remains the dominant Operating System with only a small decrease and iPhone was stable. The decrease in Windows XP continues, with Microsoft ending official support for it in April. The largest rise was in Android and Windows 8 has started to appear. Safari has continued to be the most used browser, with it being used across iPhones, iPads and Macs. Chrome continued to take market share from Internet Explorer and Firefox remained flat. There was very little change in the time of visits for restaurants, although traffic has started to arrive at the websites earlier in the morning, with meaningful traffic arriving from 6AM right through till midnight. The high number of people visiting restaurant websites from mobiles highlights the importance of having a website that is mobile phone friendly, and the time that customers are visiting the sites highlights the importance of being able to take bookings online at the time that the customer wants to make a booking. The time and fact that the customers are on a mobile indicates that many are looking for a restaurant to eat at in the next hour, therefore a mobile website with great Search Engine Optimisation (SEO) is critical. Many customers are visiting the restaurant website at times when the restaurant is either closed or during busy service times, highlighting the importance of being able to take bookings online. Online booking systems give restaurants the ability to take bookings 24 hours a day, to automatically build the email database and to decrease the time spent on the phone. 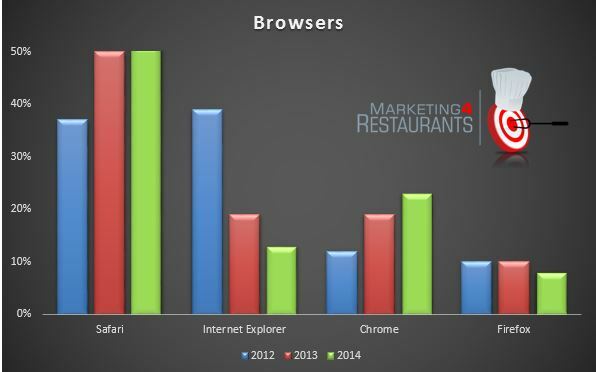 Where is all of the Restaurant website traffic coming from? 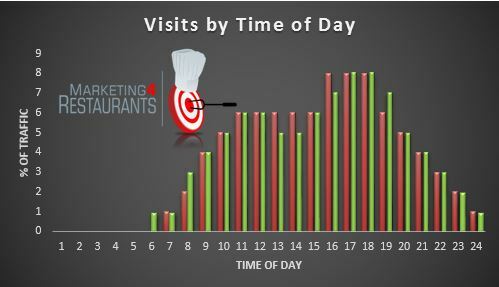 For restaurant owners to understand how effective their marketing is, we provided a breakdown of where exactly the traffic is coming from. Direct entry consists of either an email link, a person typing the website URL into the browser or using favourites. This decreased since 2013 and we believe it is because less restaurants are running discount group buying campaigns. This consisted a large percentage of traffic in the 2013 report period and the number of campaigns seems to have decreased. A number of our customers take bookings online for group buying campaigns so they can decrease the number of phone calls and easily control the number of voucher customers per night along with capturing their details. Restaurants running their own email campaigns are of course running one of the most cost effective marketing campaigns, and we know this is an area that many restaurants can improve on. Search Engine Traffic rebounded to 52%, which highlights the importance of great SEO for a website. SEO marketing makes a significant difference in the traffic for a website, although a restaurant with poor SEO often won’t know that this is a problem. Referrals from other websites were quite low. Sites such as Dimmi, Urbanspoon and Eatability are retain the traffic on their own site and as a consequence the amount of traffic coming from them is quite low. SEO provided almost 3 times more traffic than referrals. 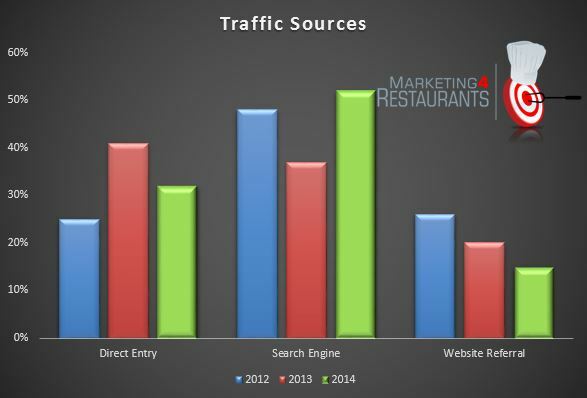 This concludes our Jan 2014 report on restaurant website traffic. It highlights the importance for restaurant owners to ensure that the website is optimised for mobile phones and that there is great SEO on the site. Most restaurants ignoring either or both of these issues face the prospect of significantly decreased revenue over the next 12 months. Marketing4Restaurants is a specialist online marketing company helping restaurant and café owners find more customers and turn them into repeat customers. We build restaurant websites and optimize them for search and mobile devices, integrate the sites with Facebook and Twitter and provide a database for restaurant owners to build up a marketing list. With Marketing4Restaurants, restaurant owners can send a great looking email that is SPAM Act compliant in less than 60 seconds. Our online booking feature, Book A Table saves restaurants time and money and helps to build that database. For more information on how Marketing4Restaurants helps restaurant owners find more customers, visit www.marketing4restaurants.com. Find out about Book A Table, our online booking system which is free for your customers and free for you. Looking for someone to help with your Restaurant Marketing? 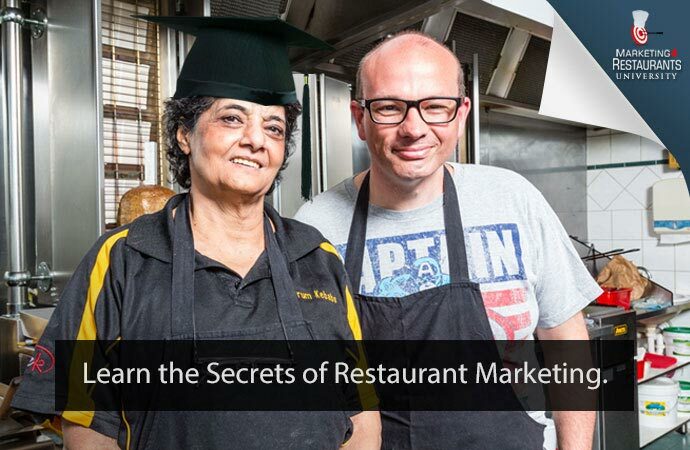 Talk to the experts – The team at Marketing4Restaurants, with customers around the world, have years over experience in helping Restaurants to find more customers and turn them into repeat customers. Visit us now about how we can help you build the kind of Restaurant business that you always wanted. Looking for a Free OpenTable Alternative?